Get £5 off your first order at Pact Coffee with our exclusive promotional voucher code discount. Click ‘Get Code’ to get the voucher code and open the Pact Coffee website. Click ‘Get Started’. Customise your plan step by step until you reach the checkout stage. Under your coffee plan it says ‘Add Gift Voucher or Promotional Code’. Type in the TroopScout voucher code into the box below it and then click ‘Add Voucher’. Enter customer information, billing address and payment method. Click ‘Place your Order’ to finish. 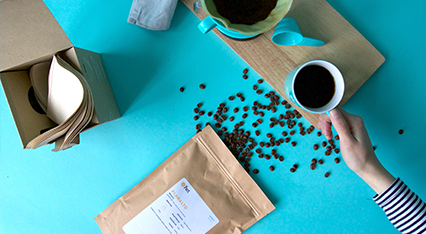 If you’re a coffee lover, Pact Coffee is the perfect service for you. Pact Coffee will send you regular deliveries of delicious ethically sourced coffee, keeping you stocked up all year round. With customisable options like picking your frequency, whether you want pods, ground or beans, and what types suit your tastes, Pact Coffee will deliver!